When I placed my order for “Waiting for the Light” I was in two minds. 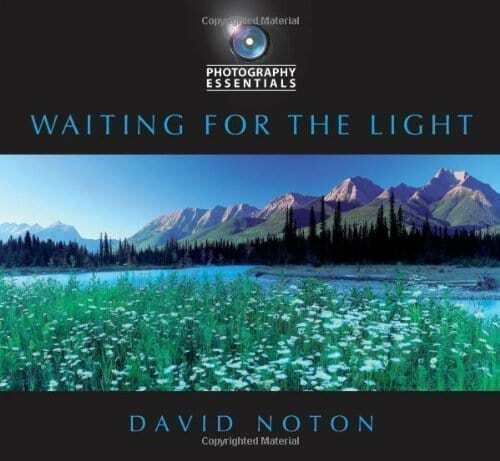 I like David Noton’s photography a lot. I think that he has produced some outstanding images but that’s not why I was buying this book. My reason was that I wanted to learn more about his approach and techniques for Landscape Photography. I was apprehensive because I thought the book would be too simple and dumbed down the beginner level. The photography in this book really is exceptional and the book itself makes for a very good read. The book makes a very good job of conveying to the reader how to approach photography. My concern about it targeting the beginner was unfounded. It does though seek to provide something for everyone, which in my opinion weakens the offering. I would really like a popular photography author such as David to produce a book that’s aimed at the experienced landscape photographer. I think it would have a very strong following and sell very well. Part 1: Vision. This section of the book discusses a lot of the preparation and planning that goes into capturing a great photo. Many people believe that it’s enough to turn up at a location and hope. Others believe the professionals get lucky because of the number of trips they make. Professional know that it takes planning and preparation to be in the right location at the right time. Part 2: Environments. Here you will read about how the landscape photographer must work with the environment. About the challenges it places on you and how you can learn to adapt to it. Part 3: Gallery. In the Gallery section you will find many photos together with a brief commentary on each. Again, read carefully as there is a lot advice in these descriptions. Part 4: Mechanics. This is a short section which covers some of the mechanics of Landscape Photography. Unfortunately, it feels as if it’s tagged on and unfinished. I suspect there is a lot more in Mr Noton’s head that would make this section outstanding. Across all these parts you will find short “Photo Journal” spreads and essays. These are a couple of pages that describe the process of finding and taking a shot. Whilst it can be easy to think of these are relating an enjoyable story, read carefully and you will find they contain a lot of advice. Shortly after I purchased this book, I went out and purchased the accompanying DVD from David's web site. Ordinarily I wouldn't purchase an instructional DVD because having watched the DVD once you find it repetitive if you watch it again. I don't think the DVD contains more than the basics of good landscape photography, but it is enjoyable and for a beginner would provide an excellent start if you can still find a copy. You can also learn a lot from watching other good Photographers on YouTube. Overall the book provides sound information in a very approachable style. Highly recommended.